The Dusty Yak Foundation provides financial aid to support children and orphanages in Nepal. We raise funding and manage projects to clothes, house and feed orphans in order to help these children develop and realize their true potential through education and training. This is an ongoing programme to enable a nurturing environment for children, regardless of age, race or faith. Where funding allows, other projects for low income and impoverished families are identified to create long-term sustainable benefit. To provide a nurturing home for them to live in. On 18th August 2016 The Dusty Yak opened its doors to provide a home to 11 girls that were found living in squalid conditions in an orphanage in Kathmandu. Cramped living conditions, poor hygiene, rationed meals of rice and lack of clean water prompted The Dusty Yak Foundation to begin its journey to helping those lost children of Nepal. Three months on and the girls are thriving, enrolled in a school and finally able to fulfil their true potential. Our girls enrolled in the Himalayan Private School in September. The school is a five minute walk from the house. The School has 48 staff members and 720 children from nursery through to year 9 (16 years). All subjects, bar Nepali, are taught in English. The School offers a peaceful environment with qualified teachers promoting learning through Montessori methodology. To complement an academic education Himalaya also offers students extra-curricular activities such as sports, music and dance. Our girls sat their first exam in October and did us all proud with their results. Dashain is the longest and the most auspicious festival in the annual Nepali calendar, celebrated by those of a Hindu faith. The elders give blessing to younger ones by putting tika and jamara on foreheads. This year’s dashain (Bada Dasai or Bijaya Dasamai) was the first for the Dusty Yak family. Grand Mom Mere Mere, Daddy Matt and Mummy Lou were here in the house to celebrate the biggest Nepali festival together. Tihar, known as Deepawali, is a five-day-long Hindu festival celebrated in Nepal. It is considered to be of great importance as it shows reverence to not just the humans and the gods, but also to the animals like crows, cows and dogs that maintain an intimate relationship with humans. Our girls worshiped the dog on the auspicious occasion of Kukur Tihar and on the last day of Tihar i.e. Bhai Tika, our girls received gifts from John Khadka (President of the Foundation). Members of the Rotary Club of Kathmandu played Deusi Bhailo in The Dusty Yak house to celebrate the festival. Swyambhunath is an ancient religious architectural temple (also home to several hundred monkeys), which stands at the top of a hill in the Kathmandu Valley, just west of Kathmandu city. Our girls visited the temple say hello to the monkeys and see the panoramic views of the city, which are breath-taking. Many of our girls had never been swimming before so Daddy Matt, Mummy Lou and Mere Mere took them all swimming and ended the day with a trip to a restaurant in Thamel to have pizzas. It was such a fun day out and very special to see our girls enjoying themselves. Early nights for everyone that day! Saturday is the only day off in the week in the Nepali calendar, so we took our girls to a Fun Park. They enjoyed playing games like Columbus and going on the rides (Ferris Wheel, Merry Go Round and Dodgem Cars) Our girls were then taught the rules of playing futsal and we all enjoyed a friendly game at the Fun Park Futsal Ground. Every year the City Centre Shopping Mall in Kathmandu hosts a winter celebration, called ‘Winter Fest’, an event dedicated to children. Nabin K Bhattarai inaugurated the event in the presence of 5 of our girls, with the cake cutting ceremony (panchakanya). Mascots were there to help celebrate the opening event of Winter Fest and Bandana Adhikary, an intern from the Foundation, choreographed a welcome dance for the girls to perform (a cultural dance to the song titled “Choli Ramro”) and gave a short speech about the activities of the Dusty Yak Foundation. A crowd of about 5607 people came along to the opening ceremony. The proud moment for us was when our girls spontaneously volunteered to sing songs up on the stage. The organizers of Winter Fest have kept a separate donation box with the proceeds going to our Foundation. The Dusty Yak Foundation is grateful to the organizers of the event from City Center for providing such a nice platform for our girls to show their talent. We believe that such programs will help our girls to build their confidence and refine their talent. Christmas was awesome this year. Many visitors came to see the girls bearing gifts, spending time playing games with them, singing Christmas carols, dancing and making novelty snowmen and horses. Christmas was a fun celebration this year for our girls and they were very happy to celebrate Christmas in Dusty Yak home. We also had visits from Orient College and Lit Club Nepal. All our girls were excited to hear of the Christmas fables relating to Christmas, Jesus and Santa Claus. In the week leading up to Christmas Day we took our girls to a church so that they could observe and learn, first hand, about this faith and the importance of Christmas. Being an event of gift sharing, Christmas day continued with our girls’ visit to an old age peoples home called “Divine Service Home”, in Golfutar, to share the happiness and take gifts. Ultimately, it’s all about giving and sharing that Christmas taught our us this year as it’s the only way to be happy in life. Apart from this the Hurley family, together with their friends, the Martin family, spent Christmas Eve morning in Cranleigh carol singing in support of the foundation and raised £120! It’s not just the Foundation and its volunteers who contribute to the success of The Dusty Yak. It is also Friends of the Foundation, donors and sponsors and commercial organisations that directly or indirectly support the foundation. In November 2016 a charity event was hosted in the UK. “Trek to Base Camp Quiz Night”. The event was a huge success and it raised £2640 for our Foundation. A charity event was also hosted in Japan by the Black family, with the support of the Himalayan Curry Restaurant in Tokyo, with £600 raised for the Foundation. We thank all who generously supported these charity events by acknowledging them for their contribution towards this noble cause of creating a nurturing environment for children in Nepal. We also thank all of our Sponsor and Donors for their generous financial support which enables the Foundation to continue its journey to help the children of Nepal. 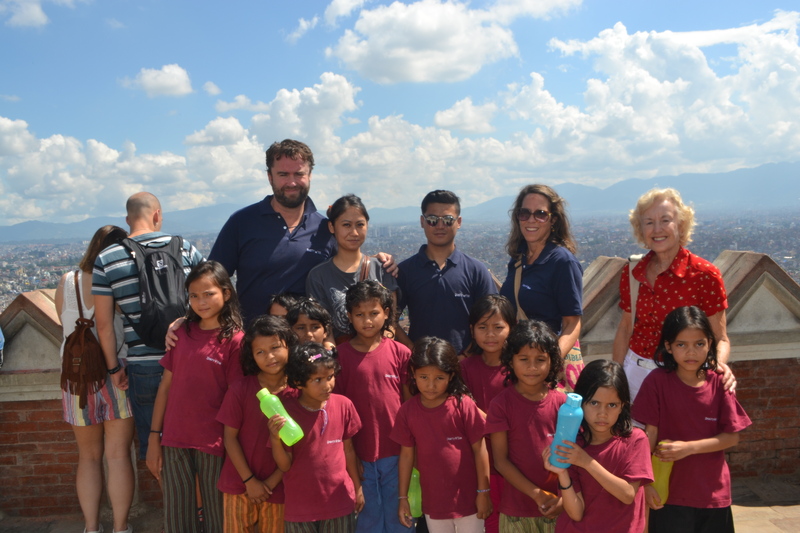 The Foundation intends to help other children’s homes in Nepal, financially and in terms of managerial support. We are in the process of setting up accredited training courses for all staff working in children’s homes to enable better function and management of these homes. The Foundation is also looking to help various government run schools in remote areas of Nepal which have not been supported by other organisations, especially in the far western region and a future project we are looking to help support is a Blind School in Myagdi, called Gyanodaya Secondary. Everything the Foundation does focuses on improving the lives of children as we believe no compromise should be made in shaping our children who are the future of our country. We also want to extend a special welcome to our supporters on Facebook page: Dusty Yak Foundation – we look forward to grow with you all in near future and beyond. We feel happy to share that we are now on Instagram and encourage everyone to join our integrated community by following @dustyyak.